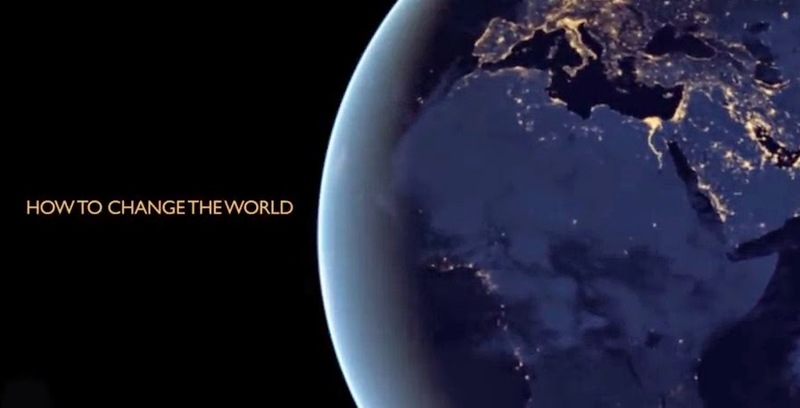 I've just started Wesleyan University's How to Change the World course on Coursera. Why? Because I'm actually overloaded at my day job at the moment, in the midst of writing a difficult, troubled novel with a structural issue that needs resolving, working on a few long poems, and managing my family's busy, sometimes chaotic life (not always in that order). Is that a good reason? Probably not. I should be cutting back, not taking more on, but you know, I think there's an argument in there about doing the counter-intuitive thing. It's like taking time to meditate when you're so stressed and busy that brushing your hair seems like an unwarranted luxury. I mean not everything I've been doing has been giving me emotional satisfaction, and thinking about the bigger picture and actually taking a little time to reflect always seems to improve my productivity. Or maybe I'm just rationalising how easy it is to distract me at the moment. Actually I was about to press the "un-enroll" button when I decided to just have a quick look at the syllabus first, and before I knew it, I'd already gotten through the first 3 readings, watched the videos and become completely engrossed. I'm ready to begin applying this kind of thinking to whatever else I'm doing - to energise me a little bit about all those other projects. First topic is "Social Goods and the Commons". This is a subject that holds endless fascination for me, both in terms of shared physical spaces (I have a few local ones in mind), and in terms of creative commons or collaborative work. I'm excited about the very practical and relevant nature of the first assignment, and the way Michael S Roth, president of Wesleyan and also the course developer and primary teacher, has designed the course to allow the 200,000 (!) students taking it to align the notion of making a positive difference in the world with our own aesthetics and skills. I've done this kind of thing (a MOOC if you like acronyms) before (notably ModPo - just look it up on my blog here for a week by week gush) and it's a perfect example of social goods and creative commons. 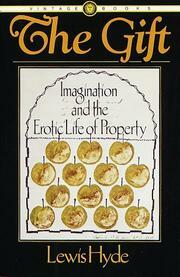 One of the readings which drew me straight in was this interview with the amazing Lewis Hyde, whose book The Gift moved me many years ago, and still provides a beautifully written treatise on what it means to create art (or as Atwood put it: "how to maintain yourself alive in a world of money, when the essential part of what you do cannot be bought or sold"). I can't swear that I'll do this course as fully as I'd like. Depending on my workload I might dip in and out and just do the readings at night instead of reading a new novel (sorry to everyone who is waiting on a review...). But what I will try to do is to share (pass on, as is appropriate for this kind of gift) the nuggets of insight that I might gain.